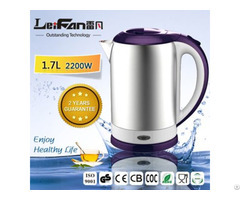 Posted By: Foshan Leifan Electrical Appliances Co., Ltd.
Business Description: Leifan Electrical Appliances Co.,Ltd (Leifan) was established in 2008, located in Ronggui,Shunde District,Foshan City,Guangdong Province,China. Shunde district is the heart of Home Appliances production both in China and The World. 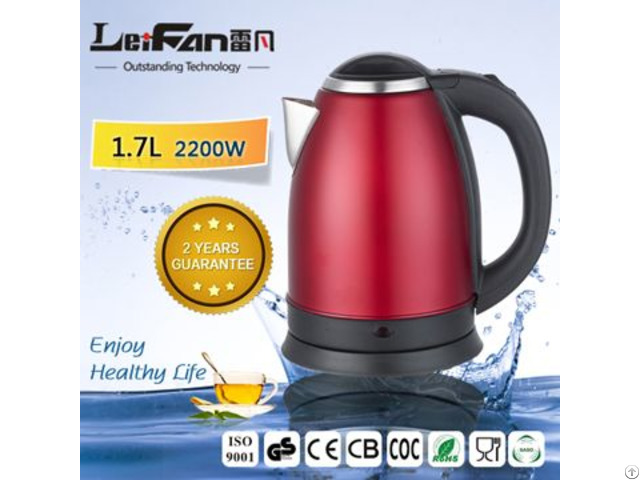 Leifan specializes manufacturing, developing and selling kinds of kettles from 2010, such as stainless steel kettle, stainless steel keep warm kettle, glass kettle with single wall or double walls, plastic kettles and so on. We are ISO9001:2008 certified company, all our products are CCC/CE/CB/GS/ROHS/LFGB/ERP approved. Leifan focus on product quality improvements, technology innovation, it has been rapidly growing in the past years with the purpose of that customer satisfactory and it will endeavor to meet the customer needs to the utmost extent in order to win customer contentment and trust.